Kodi has been making a lot of noise of late. It is easy to install media player which holds power to mess with anyone’s head. Well, Kodi is anything but straightforward. It can take any newbie for a ride and needs a certain level of expertise to get installed. Kodi is a media player used by millions worldwide. Citing this overwhelming number of Kodi users, it has to have something extremely good or exciting about it. Kodi can’t be called an exactly ‘easy-to-use’ tool as it comes with certain complications of its own. A lot of beginners have this misconception that Kodi is some rocket science. Well, the fact is that Kodi is just a media player that can be installed in a few simple steps. It is a software which plays media on your device. Anything ranging from videos to images can be streamed using Kodi. VLC is just another media player like Kodi. A subtle difference between VLC and Kodi though, is that VLC is widely used to stream media stored locally on any device, Kodi on the other hand, is used for playing media over the internet. It is not that Kodi cannot be used for streaming stuff stored locally; it is just that people don’t like to use it for that. Kodi is a media player that gets along very well with users. It does not require any specialized technical knowledge to use Kodi. You can download this freely available, open-source media player and start streaming your favorite stuff online. There are a few simple steps that you need to follow to install Kodi, and that’s it! Kodi is an extremely flexible software. It is not that it works on laptops or desktops only, but it also works perfectly fine on almost any device available in the market these days. 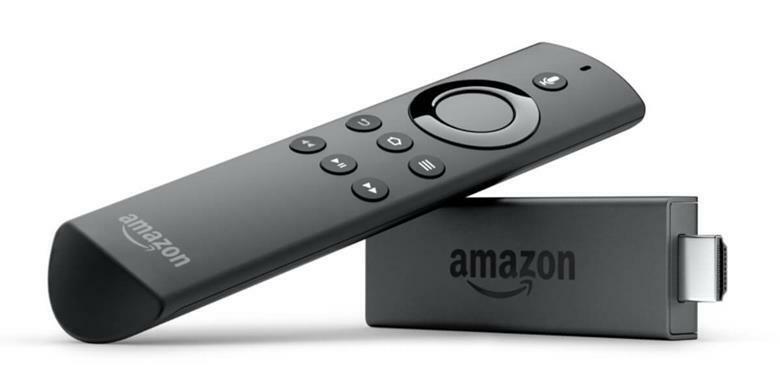 It works well on smartphones as well as Amazon Fire TV Stick! This and intuitive media player is a great invention. Guides on almost everything ranging from the best Kodi box and Kodi build to the best Kodi skins and VPNs are available freely on the internet for the users. You may easily check out the best Kodi builds online. Kodi would have been even more amazing only if it were as easy to install as it is to use. Kodi can be installed quickly on a computer; however, the game gets a bit tougher while you switch to a streaming box or stick. Step 1 – Go to the ‘Settings’ menu and click on ‘Device’. This is where all the required application installation permissions can be set from. Step 2 – Next you need to click on ‘Developer Options’. Step 4 – Multiple ways are there to install Kodi; however, the easiest way to do this is by using the freely available Downloader app. The application can be found on the Amazon Appstore. Step 5 – Citing the Fire TV’s operating system to be Android, it can be said that the Kodi Android app will serve the purpose well. Choose the 32-bit installation preferably. Step 6 – The last step is to click ‘Install’ and customize Kodi with various add-ons or any Kodi build as per your liking. Kodi is a media player managed by a non-profit organization XBMC Foundation. The software is under constant modification and up gradation. A countless number of coders and developers, in various parts of the globe, have been working on it for years. Since its inception in 2003, Kodi has undergone a lot of changes. It has developed into something very user-friendly and beautiful to work with, all thanks to its vibrant community of developers and support people. Kodi can even be customized by installing, and Kodi builds. No rewards for guessing, this process like the installation of Kodi is free. Kodi holds the capability of turning any device be it a computer, smartphone or a tablet into a digital set-top box or streamer. It provides the users the ability to stream files from anywhere right from the internet to local storage. To the utter surprise of a lot of users, Kodi, unlike the other TV streamers like the new Apple TV, Chromecast 2 and or even Amazon Fire TV Stick, for that matter, is not under any license. Kodi allows the users to download a variety of community-made apps or add ons as per their liking. Kodi comes power packed with a purpose-built user interface that makes browsing through the content very simple. According to its developers, it features a “10-foot UI”, which vaguely implies that it can be read from a theoretical distance of up to 10 feet away. Further, thanks to a variety of inbuilt codes, Kodi users can search for videos, photos as well as podcasts. Kodi offers quite a similar experience on smaller devices as well, but must be coupled with a larger television for big-screen viewing and a better experience. Thus, this was all that you need to know about Kodifirestick for starters. Kodi is an amazing software. It can turn your boring weekends into something that you eagerly look forward to. So, what are you waiting for? Install it on your Amazon Firestick today and set out on a movie marathon! Credit: Rick Lee of whytheluckystiff.net crafted and submitted this piece.